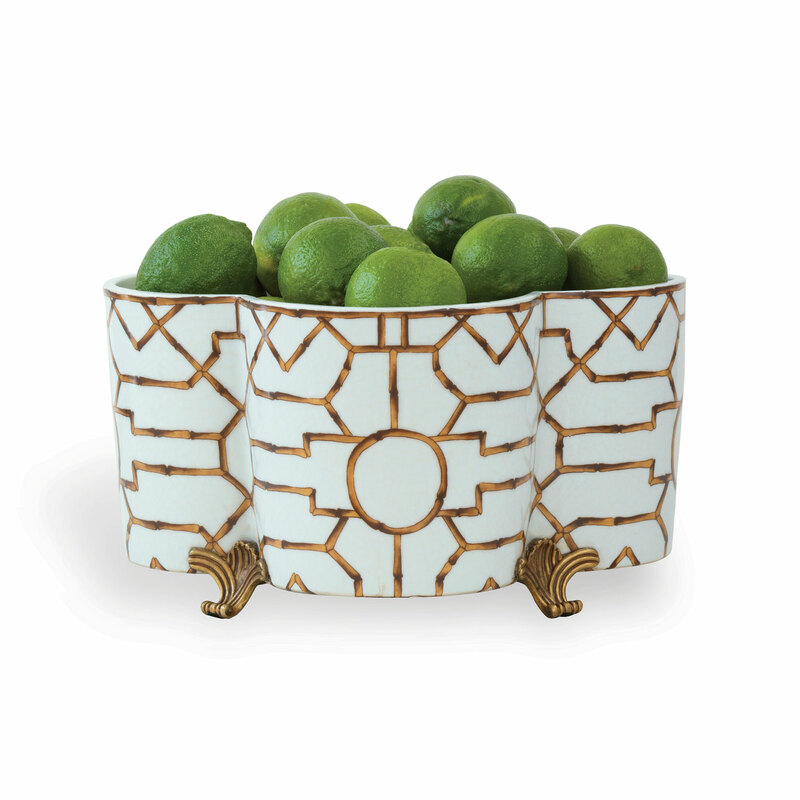 The Scalamandre Baldwin Quatrefoil Planter features the Scalamandre Maison "Baldwin" pattern with antiqued crackled porcelain and is accented with solid brass feet. This classic shaped quatrefoil centerpiece planter is shaped to hold four-6" diameter plants. Perfect for a spray of white orchids or it can also be used for fresh flowers or for entertaining as a wine bucket.